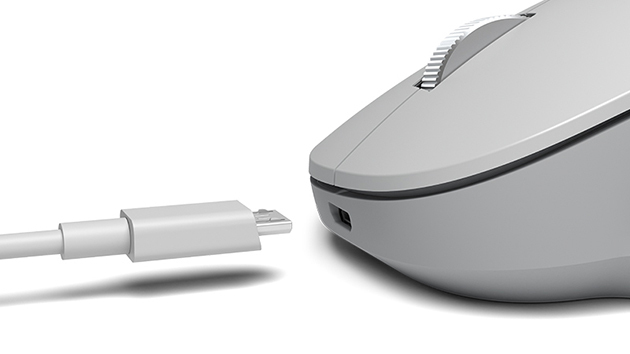 Pre-orders for the new Microsoft Surface Precision Mouse are now open. 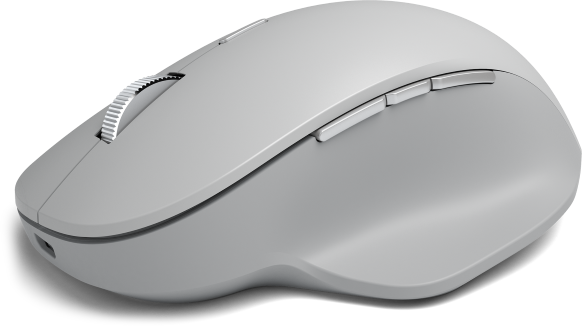 The mouse represents Microsoft's return to enthusiast-style mice with adjustable scroll wheel, programmable buttons, and multi-device switching. Microsoft’s hardware division has been on a roll recently producing some good looking and premium quality devices in the last few years. While some models in the Surface Pro line have faced complaints about higher-than-normal warranty issues, their associated hardware accessories have been robust and reliable. 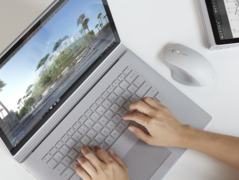 The Surface Precision Mouse was announced in mid-October with the Surface Book 2 15-inch and 13.5-inch, but it was understandably overshadowed by all the reporting on the new 2-in-1. Pre-orders have started now for both the Surface Book 2 and the Surface Precision Mouse, and Microsoft has released a fancy new product video to showcase this mouse, which conforms to the recent trend of improving their marketing videos. 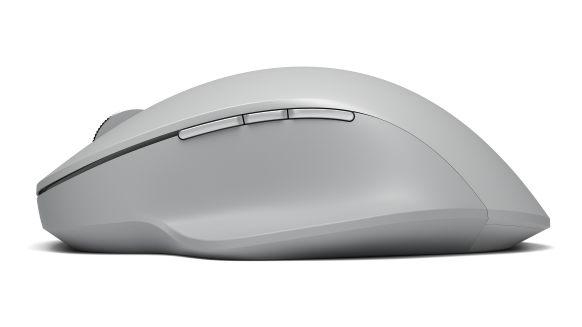 The video showcases the three headlining features of the new Surface Precision Mouse. First is the ability to switch the scroll wheel to notched scrolling or smooth scrolling depending on usage scenario and user preference. 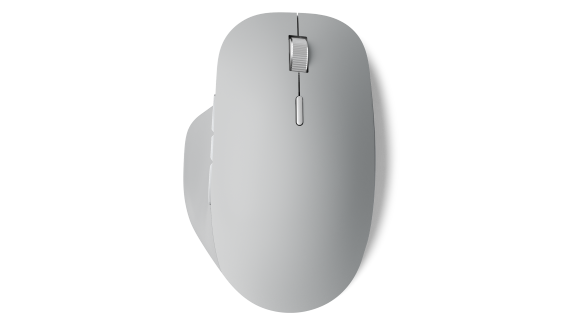 This feature uses an internal arm with magnets on the end which interact with a hidden ‘spiked cog’ structure inside the scroll wheel, and this switchable functionality is similar to that provided by Logitech in their higher end mice. 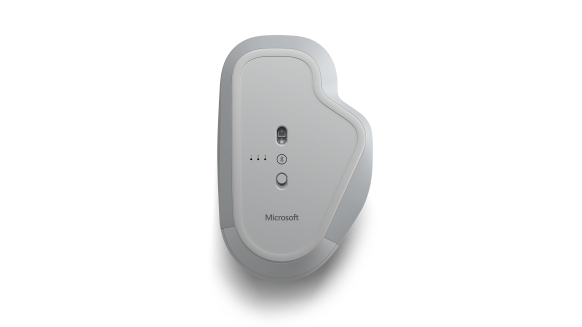 The second feature is the four customisable buttons, something which Microsoft included in older products, but which were often missing in their mobile mouse efforts of the last decade or so. It must be noted that the store page lists three programmable buttons, so either there is an error in the video or they are indicating that the middle click 'scroll wheel' is also customisable (unlikely). The final headline feature is the ability to use the Bluetooth connection to pair up to three computers (Windows only), which can then be used simultaneously. When the mouse is dragged to the edge of the screen it will then switch to the next computer, so that one mouse can be used to control multiple computers without the need to transfer the receiver or trigger a switch on the bottom of the mouse. Again, this functionality is similar to that offered by Logitech (Windows, Mac) in some of their high-end mice, and 3rd party software options like Synergy (Windows, Mac, Linux). 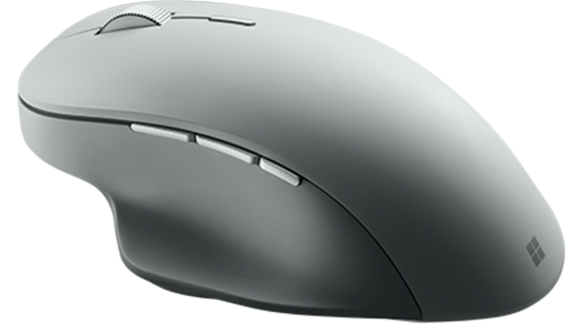 The Microsoft Surface Precision Mouse is now available for pre-order at US$100 with a release date of 16 November.